Thus begins the poem, “The Day is Done” by Henry Wadsworth Longfellow. Since I was a young girl this has been one of my favorite poems. In this poem Longfellow compares the passage of time to the way a feather falls. 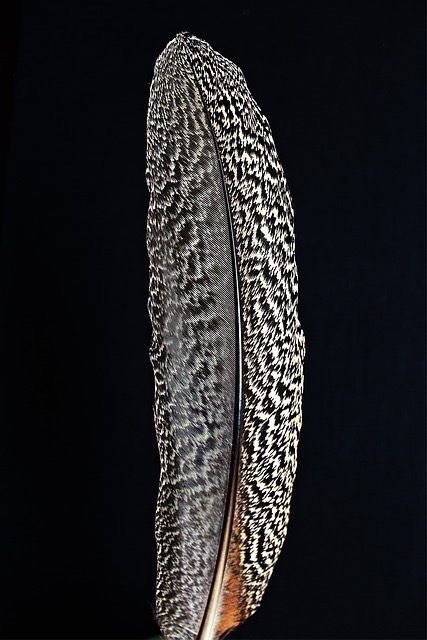 Gravity inexorably pulls the feather toward the ground. 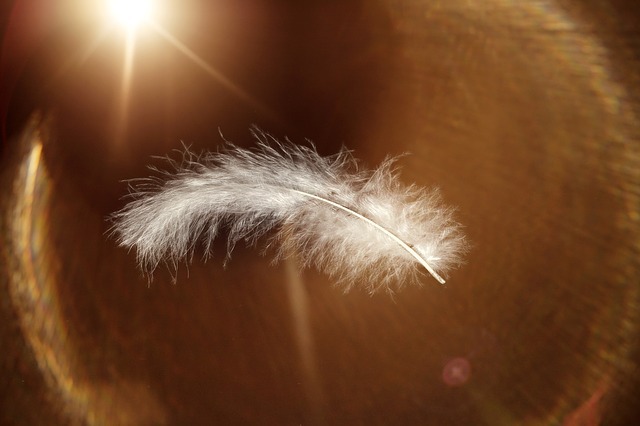 The feather, however, is aerodynamic and falls slowly as the air passes through it’s buoyant shape.A feather falls slower than most objects, but even a feather will silently, steadily fall. Time sometimes falls like a meteor and other times it descends like a feather. Most often in my life, time rockets past me at the speed of light. Only when I allow myself grace to pause does time slip slowly though my fingers like a feather. Softly passing time sounds like a dream. I have lived too much of my life without pausing to notice the day wafting toward night. I have chased time. I cannot outrun the passage of months or even years. They slip by before I realize they have half begun. I may not be able to catch time, but anyone can mark time. We mark the passage of time not on a clock, but by paying attention to the present. I find the need to chase time because I am distracted by the future and my all-absorbing To Do List. If I were to notice now, and not tell myself that I will make time to be fully present when I finish ___ it is possible that I would be more satisfied with the passage of time. There is always some “important” work that need attending. I do not remember what most of those things were. What was it that I was so consumed with ten years ago? I could guess, but I cannot tell you the specifics. Indeed, some of it was important. Some of what has consumed my life has not been as important as I thought. I have been distracted by the trivial more than once. I need to make time to permit time to waft like a feather. This brings us to the crux of the matter. The first word in that sentence is the root of the problem. I. I cannot make time. No creature makes time. God, the Creator made time, we live within time. Hence, the statement, “I need to make time” is a priori wrong. As a human I will never be able to “make” time. Therefore, the time I will make is never. What can I do? I can schedule time to notice. Scheduling time to be fully present seems incongruous. Unfortunately, it is the best that I can do. I live in 2015. Time is precious I want to make the most of the time that I have. The most effective way that I have found of doing this is to schedule reminders. Funny how we have become so programmed by our fast paced lifestyle that we schedule and set alarms to remind us to fully live. Do any of you, readers, have a favorite method to notice the present? I will let you know how the scheduling “now time” to slow time works. The day once descended into evening as slow as a feather. It ought to be possible for me to slow down and let time waft a little.